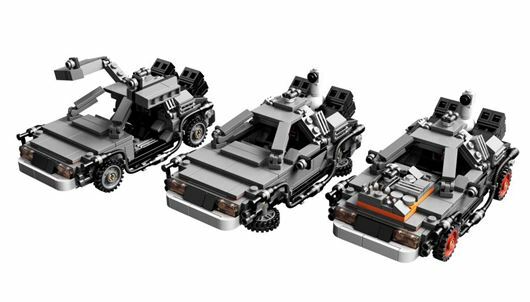 Lego has produced a limited edition Back to the Future DeLorean design. The model can be constructed in three different ways to reflect the cars' appearance in each of the three films and it retails for £34.99 at selected UK stockists. It was selected for production from four kits for various things designed by Lego fans, including a space ship from video game EVE Online. The designs were submitted through Lego CUUSOO, which lets Lego fans vote for their favourite designs, as submitted by other enthusiasts. Those which get 10,000 votes or more are considered for production and 1% of the earnings from sales is given to the designer – in this case Masashi Togami from Tokyo. He is to give his royalties to the Michael J Fox Foundation for Parkinson’s Research. The DeLorean company has a colourful history and famously collapsed in a scandal during 1982. The famous Back to the Future movie features a DeLorean DMC-12 and as a result the gullwing-doored car has earned a place in history as one of the most recognisable vehicles ever produced. However it could have been very different – the original Back to the Future script featured a fridge as the time machine! To read more about the DeLorean click here.